Are you selling your home? Let RHI inspect your home before you even list it. A Move-in Certified seller inspection informs you of any defects or problems you need to address before a prospective buyer discovers them. You can take the time you need to obtain reasonable repair estimates, and show prospective buyers you are dealing in good faith. 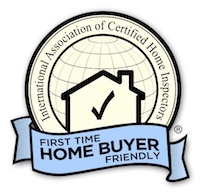 Avoid 11th hour negotiations and delays, and justify your full asking price by having your home pre-inspected now. We will also provide signage that the home is Move-in certified.